The special counsel’s report is certain to affect House oversight plans. ButDemocrats have also made clear that they have low expectations for what they’ll receive from Barr, who has said he would not share the full Mueller report with Congress. Mueller’s findings will arrive just as Democratsreach flashpoints in their investigations. Judiciary Committee Chairman Jerry Nadler (D-N.Y.) is set to issue a subpoena as early as Friday for all of Mueller’s grand-jury information and underlying evidence, which could be used as part of his panel’s own investigation. Barr has said he won’t ask a court for the grand-jury information and doesn’t intend to share the full report with Congress, includingpassages on “peripheral” third-party figures. Oversight and Reform Committee Chairman Elijah Cummings (D-Md.) hasalready issued subpoenas to accounting firm Mazars USA to get his hands on 10 years of the president’s financial records. On Monday, Financial ServicesCommitteeChairwoman Maxine Waters (D-Calif.) and Intelligence Committee Chairman Adam Schiff (D-Calif.) issued subpoenas to other financial institutions including Deutsche Bank; Capital One is likely to be served with its own subpoena, too. The president has flirted with pardons for some of his associates entangled in the probe, though he insists he hasn’t given it much thought of late. 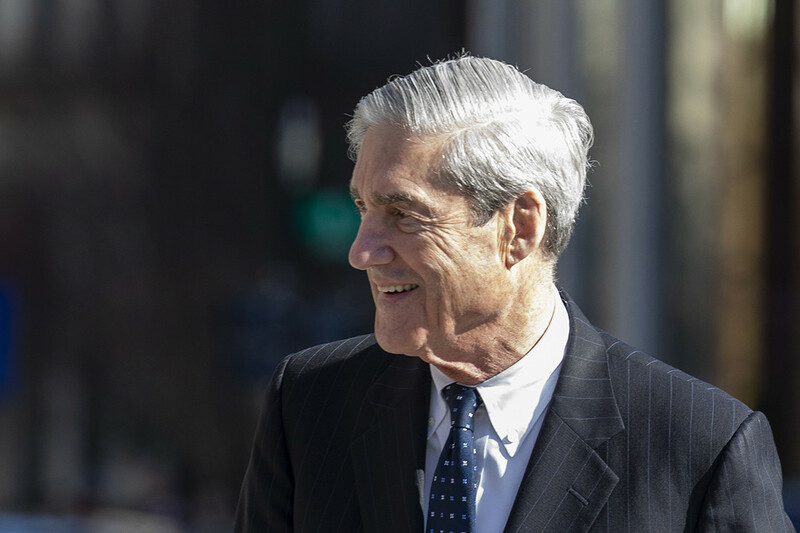 And even as Trump triumphantly tweets “No Collusion – No Obstruction!”, his tone has soured as the likelihood of damaging details emerging in Mueller’s report appears to grow. A Mueller report that provides little new information — or one so heavily redacted that its findings are hard to decipher — could encourageDemocrats to shift their focus.